ST. GEORGE – St. George police arrested a St. George man Tuesday after he allegedly caused more than $10,000 in damages to the home he was evicted from. Steven Douglas Neeley, 36, was arrested and charged with two second-degree felonies for burglary and criminal mischief and one class-A misdemeanor for trespassing. According to the probable cause statement filed by St. George Police Officer Phil Lewis in connection with the arrest, Lewis responded to 1173 W. Snow Canyon Parkway on a call that a former tenant who had been evicted from the home on June 13 had come back to the residence. On Monday, the residence was secure and no one was inside, Lewis wrote in the statement, but when the property manager came back on Tuesday, the front door was kicked off its hinges and was propped up near the doorway. Upon arriving at the residence, officers found Neeley in the home. There was well over $10,000 in damage to the house, according to the court documents. The property manager was on scene after the arrest was made and told police a large amount of damage occurred after Neeley’s eviction was carried out and everyone was out of the house, Lewis said in the statement. Neeley forced his way back into the house and caused a significant amount of additional damage. Neeley was booked into Washington County’s Purgatory Correctional Facility. 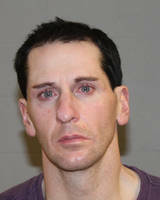 According to booking information, his bail stands at $21,943. Neeley made his initial appearance in 5th District Court on Tuesday. You were EVICTED yet claim you didn’t know you weren’t allowed in the house. Landlords beware. This loser will be on the prowl looking for a new place to live after Purgatory. Maybe you should go back to remedial reading class. Hey Craig read what you wrote one more time. He said he was aware he shouldn’t be there. And how dare you call someone a loser. You don’t know the whole story! You don’t know this man. Things are not always as they are reported. Maybe the landlord was a jerk and really deserved it.